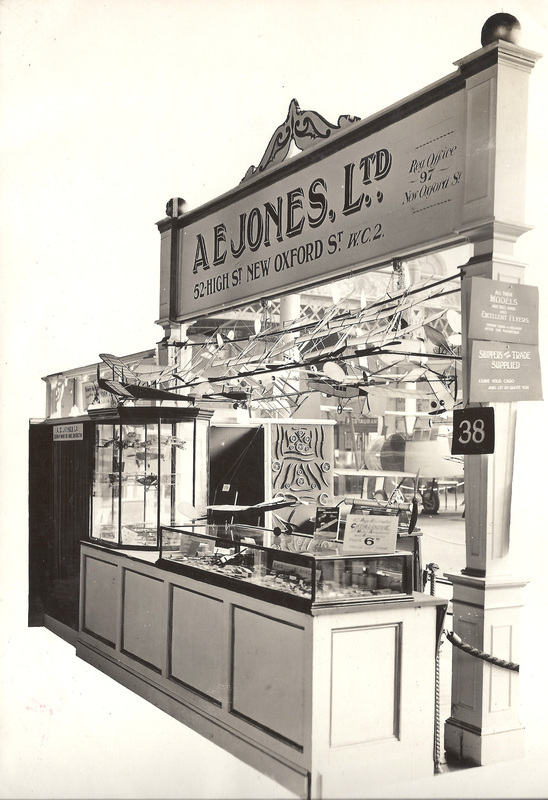 At present this entry is a loose collection relating to A. E. Jones who was highly influential in the early days of modelling. 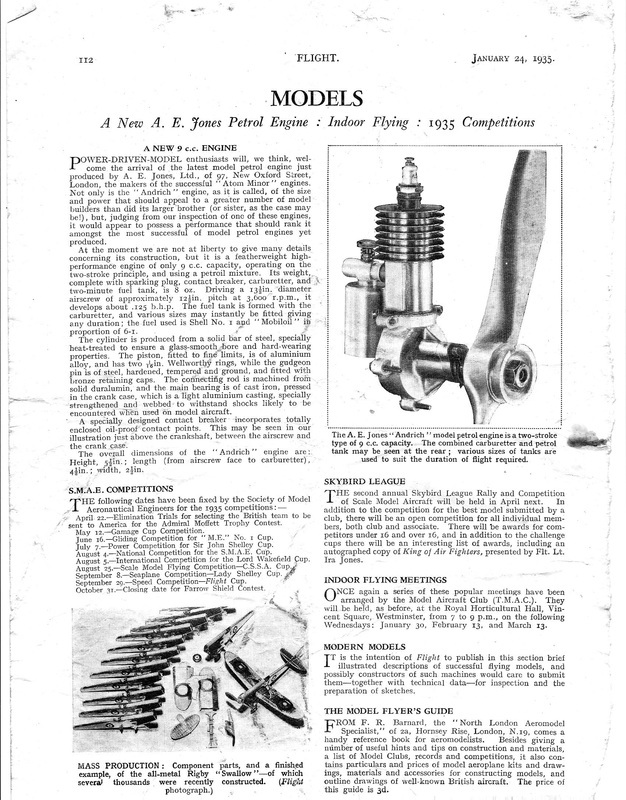 His London shop was an essential source of material to those modellers and his activities within the S.M.A.E. were tireless. A.E. 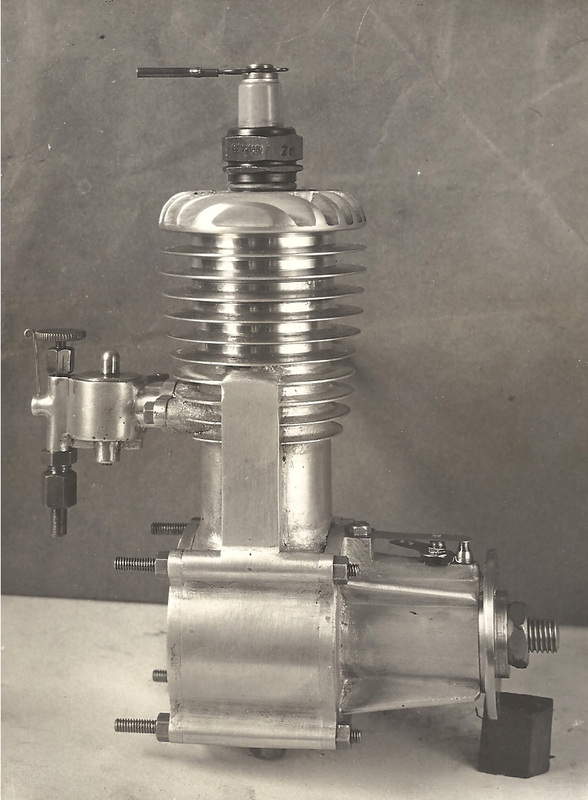 Jones enabled Edgar T. Westbury's 'Atom Minor' engine to become a commercial success. A.E. 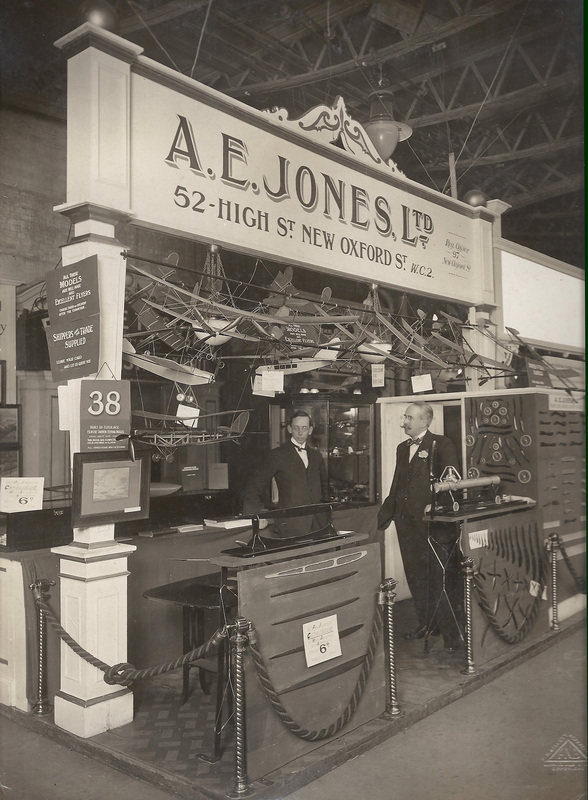 Jones (on the left) exhibition display. 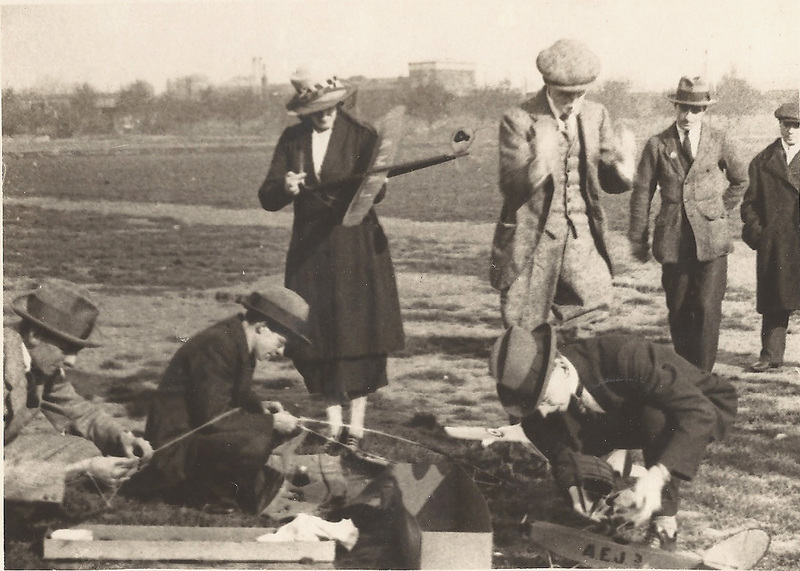 LAMA (London Aero Modellers Association) Derby. 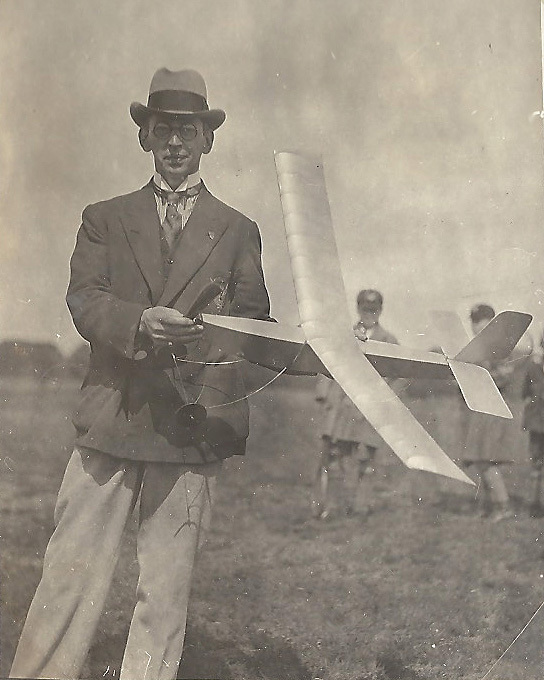 A.E.J. Kneeling with one of his designs.